The Umbwe route is one of the shortest routes to the Southern Glaciers and the Western Breach. It is probably the most scenic, non-technical route on Kilimanjaro. It is quite taxing, primarily due to the relatively fast ascent to higher altitude, but the rewards are plentiful. Fewer people, pristine forest and shorter walking distances make it a great option for fit hikers. 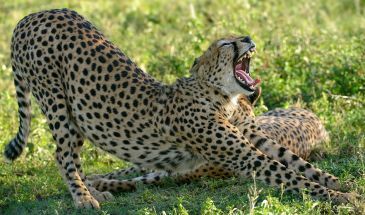 Add to your experience – OVERNIGHT IN THE CRATER!! Be one of a few fortunate people to spend a night in Africa’s largest volcano. 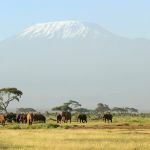 This option is highly recommended, as this will be the only opportunity to get close to the beautiful and fascinating glaciers of Kilimanjaro and to be able to visit the ash pit. After breakfast you will be driven to the Umbwe Gate at 1800m, passing through villages with coffee and banana plantations. On arrival at the Parks Gate your guide and porters will meet you. Sign the register before you enter the park for your first step to accomplishing a life-long dream. The air is thick with moisture and the path is usually muddy. The route initially follows a forestry track winding up through the natural rain forest. It then narrows and steepens to climb the ridge between the Lonzo and Umbwe rivers, with huge trees surrounding you. The path offers some spectacular views of deep gorges and if you are lucky, glimpses of Kilimanjaro towering above you in the distance. The camp is perched between huge trees and thick undergrowth, B,L,D. Shortly after leaving the camp, the forest starts thinning and is replaced by rockier terrain, sparser undergrowth and straggly, moss-covered trees. The path continues along a narrow, but spectacular ridge. 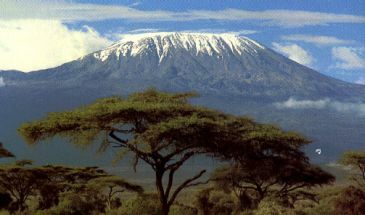 As you gain higher altitude, catch glimpses of Kilimanjaro rising majestically ahead of you - etched against the blue sky. The path flattens as you approach Barranco Valley. From the Umbwe ridge the route descends slightly to the Barranco camp. The camp is situated in the valley below the Breach and Great Barranco Wall, which should provide you with a memorable sunset while your dinner is being prepared, B,L,D. After breakfast you will start your hike towards Lava Tower, a famous landmark on Kilimanjaro. The path is steep and rocky, with views of Mt. Meru, Kilimanjaro's little sister, punching her peak through the clouds. From Lava Tower you turn towards the Western Breach, a steep climb to Arrow Glacier camp (4800m). This is taxing and symptoms of altitude sickness might become noticeable. The campsite is spectacular. Vegetation has now all but disappeared, leaving only rock and scree in varying shades of brown and black. The campsite is very cold and you need to be prepared, B,L,D. From the Arrow Glacier camp steep scree and rocky outcrops requiring a scramble lead up the Western Breach to the crater floor (5700m). This day will be the toughest challenge by far. After snowfalls the route can become icy and in these conditions an ice axe or ski stick may be required. When reaching the crater rim, you will be astonished by the view of snow and glaciers. Visible to you left is the Northern Ice fields of Kilimanjaro with the Furtwangler Glacier in front of you. Walk past this glacier to the Crater camp, situated at the crater rim. If time permits, you can climb to the Ash Pit (1 ½ hour). The Ash Pit is 340m across, 120m deep and is one of the most perfect-formed examples in the world. The campsite is very cold as snow might occur. 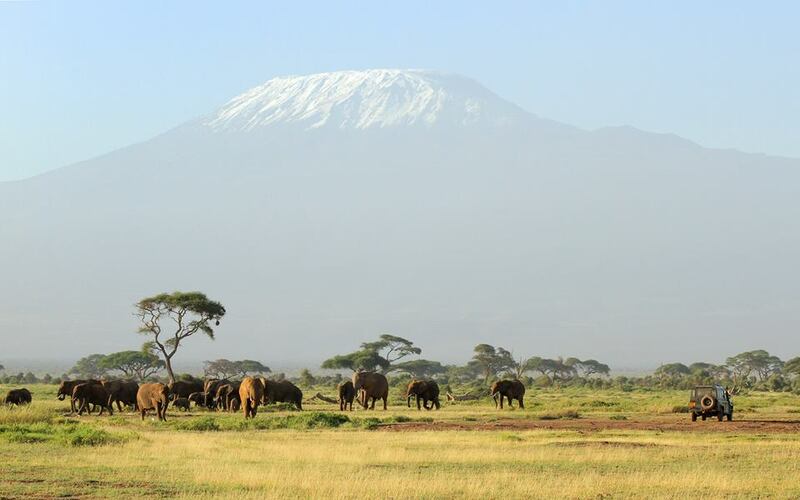 Be one of a fortunate few to spend a night in the inner crater of Kilimanjaro, B,L,D. You will rise around 04:00, and after some tea and biscuits you shuffle off into the early morning darkness. From the crater floor you will probably encounter snow all the way on your 2-hour ascent to Uhuru Peak. Time spent on the summit will depend on the weather conditions. Do not stop here for too long, as it will be extremely difficult to start again due to cold and fatigue. Enjoy your accomplishment and a day to remember for the rest of your live. The walk to Barafu camp from the summit, takes about 3 hours. Here you will have a well earned but short rest, before heading down to Millennium camp (3100m). The route is not difficult and will take you down the rock and scree path into the moorland and eventually into the forest. 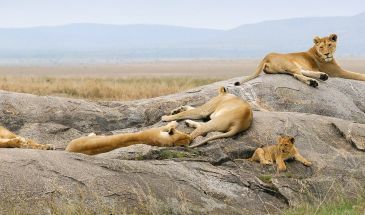 The camp is situated in the upper forest and mist or rain can be expected in the late afternoon. Dinner and washing water will be provided as well as drinking water, B,L,D. After an early and well-deserved breakfast, it is a 5-hour, scenic hike back to the Park gate. At Mweka gate you sign your name and details in a register. This is also where successful climbers receive their summit certificates. Those climbers who reached Stella Point (5685m) are issued with green certificates and those who reached Uhuru Peak (5895m) receive gold certificates. From the Mweka Gate you will continue down into the Mweka village, normally a muddy 3 km (1 hour) hike. In the Mweka village you will be served a delicious hot lunch!! You will then drive back to Moshi for a long overdue hot shower and celebrations!! Overnight at Keys Annex Hotel, B,L.